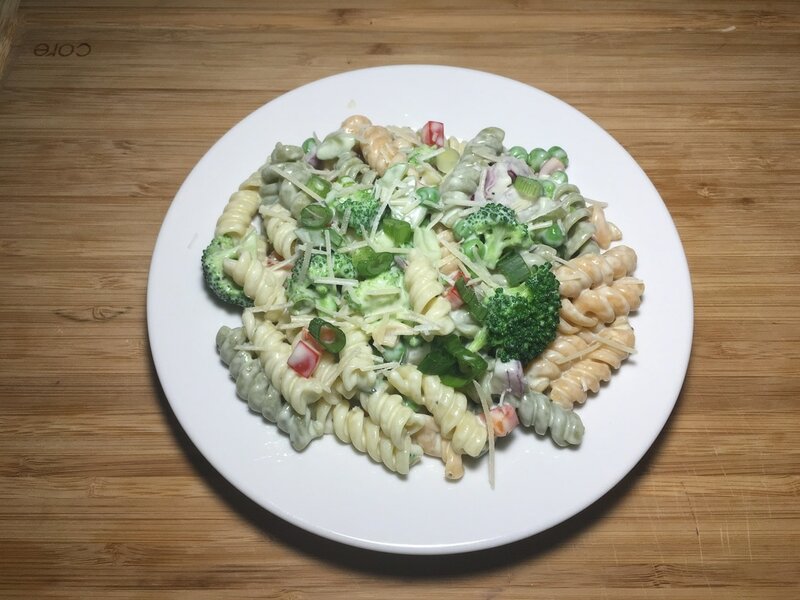 Another simple and delicious pasta salad recipe, this one features using Green Goddess dressing. It compliments the combination of vegetables quite well. It's great as a side dish and brightens up the table for a get together. 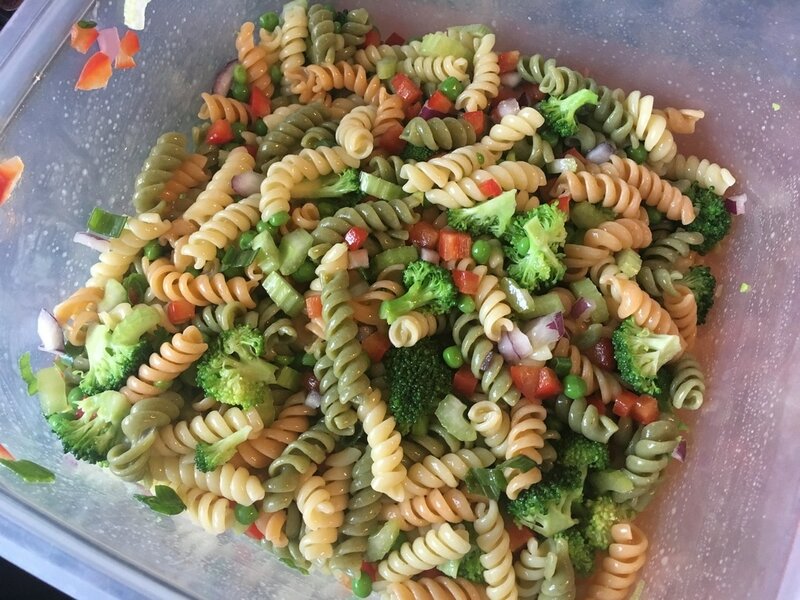 All it takes is dicing up a few vegetables and combining the ingredients for a delicious pasta salad. Be sure to give this one a try and let me know what you think. ​1. 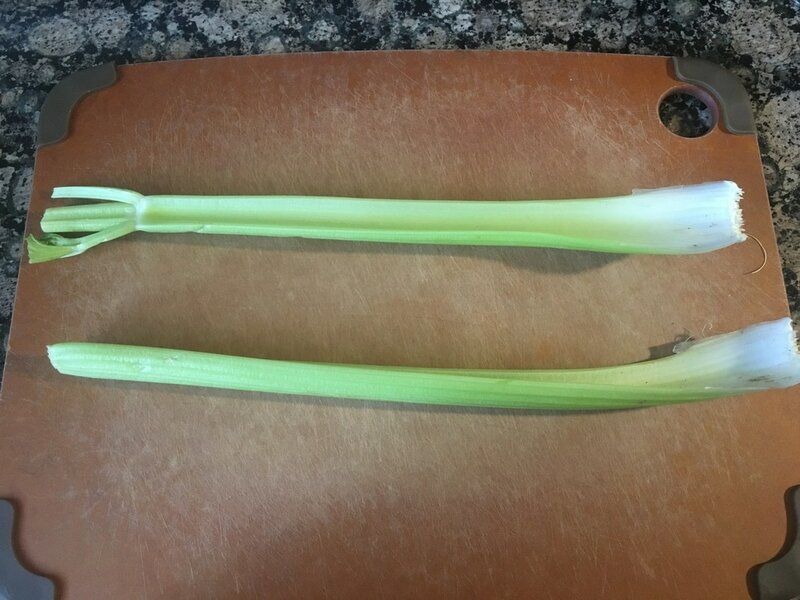 Cut off the ends of 2 celery stalks and rinse off thoroughly. 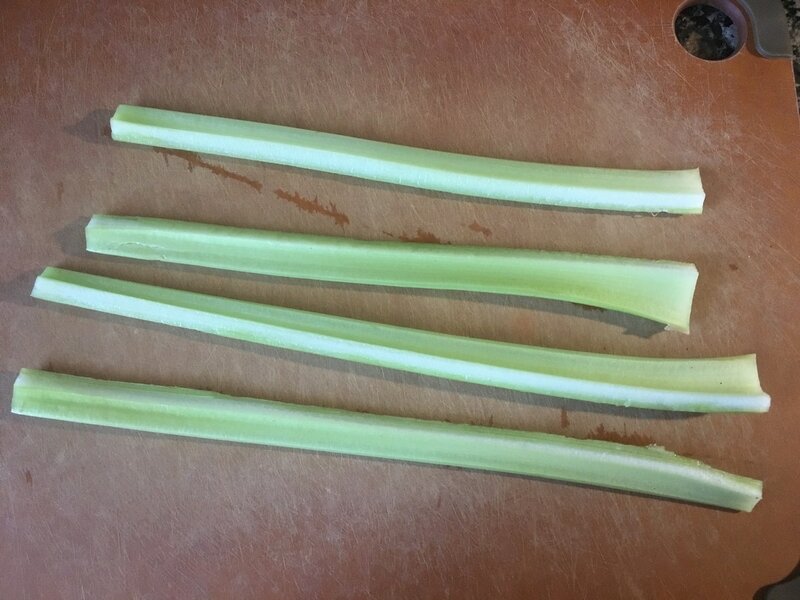 Cut each stalk in half lengthwise and dice them into smaller pieces. 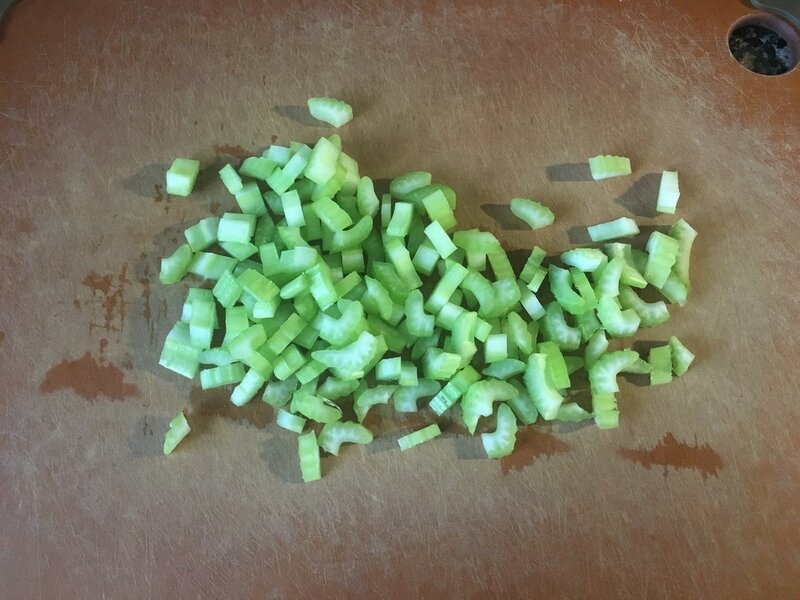 Set the diced celery aside. 2. 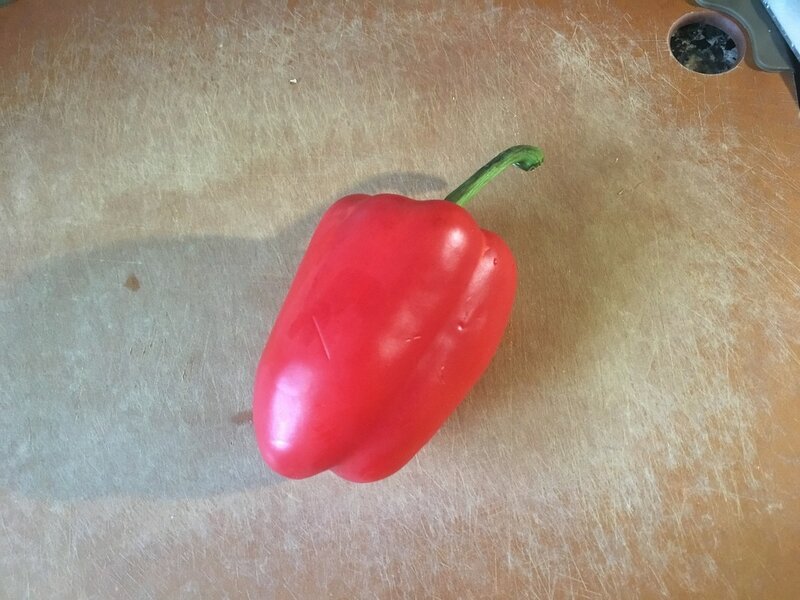 Rinse and dice 1 red bell pepper. 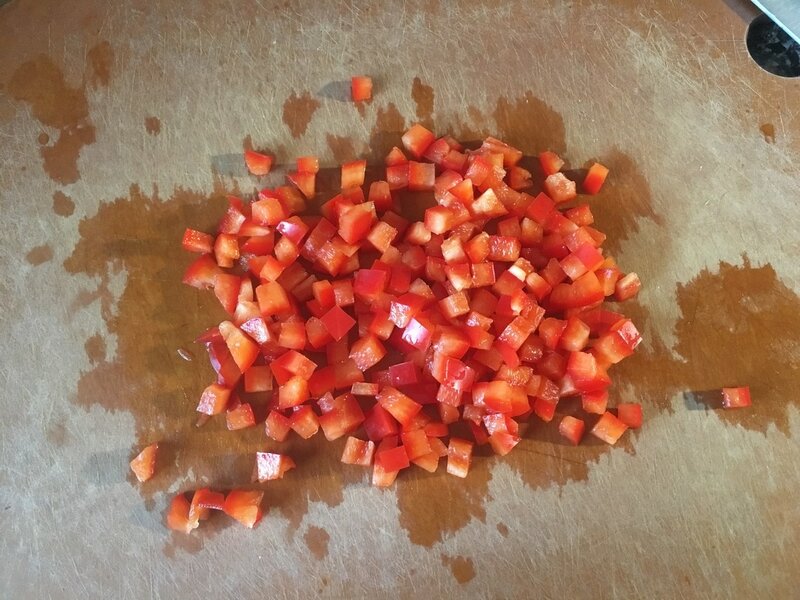 Set the diced red bell pepper aside. 3. 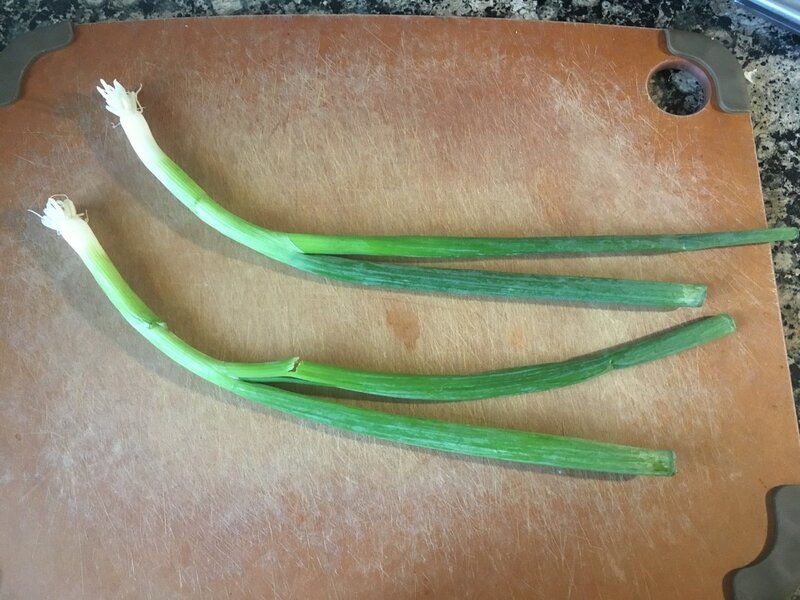 Cut off the root of 1 – 2 scallions. Rinse thoroughly and dice. 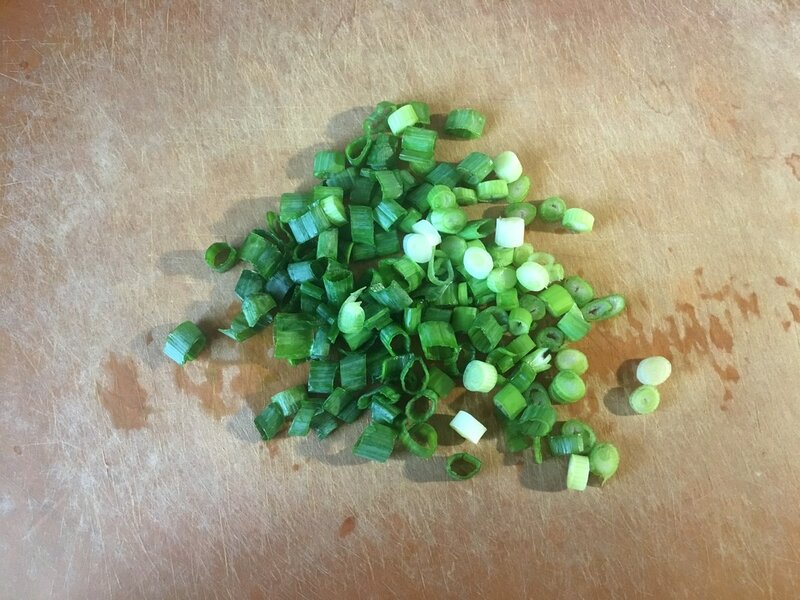 Set the diced scallions aside. 4. 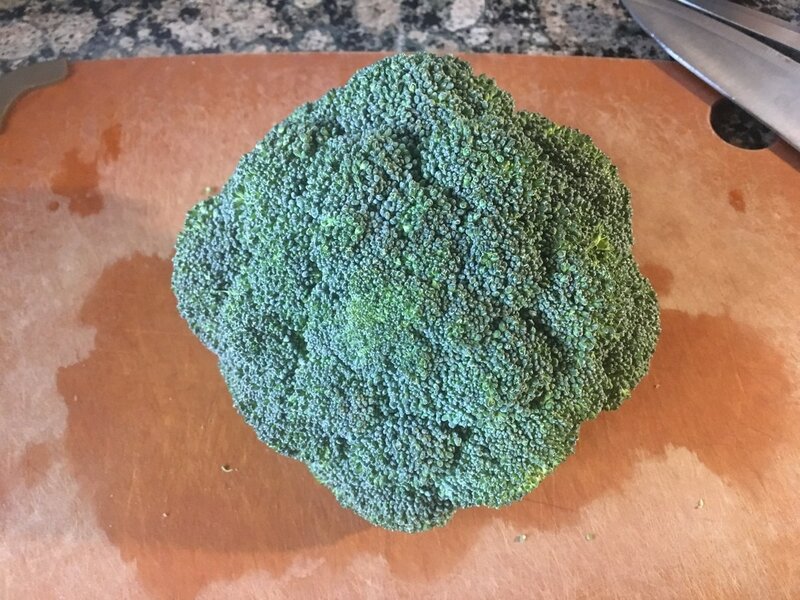 Cut the broccoli crown into small sized florets. 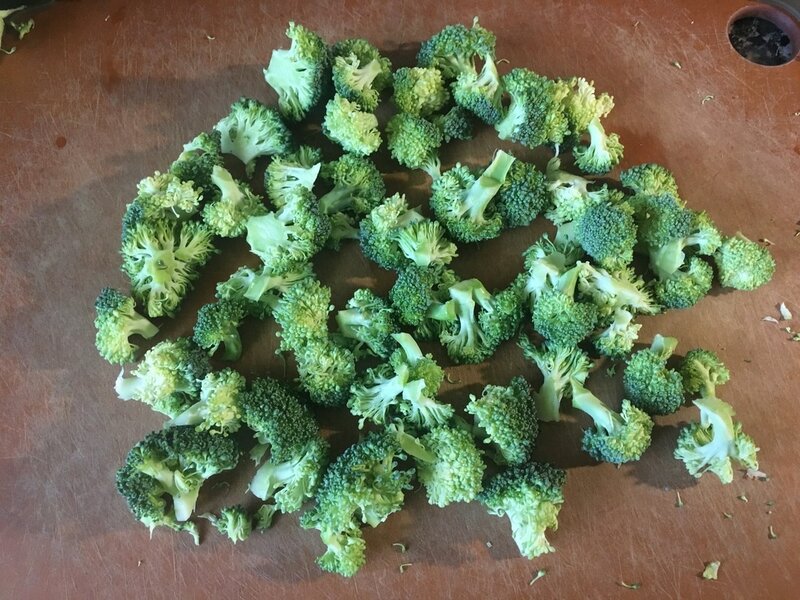 Cut up at least 1 – 1 ½ cups worth and set the broccoli florets aside. 5. 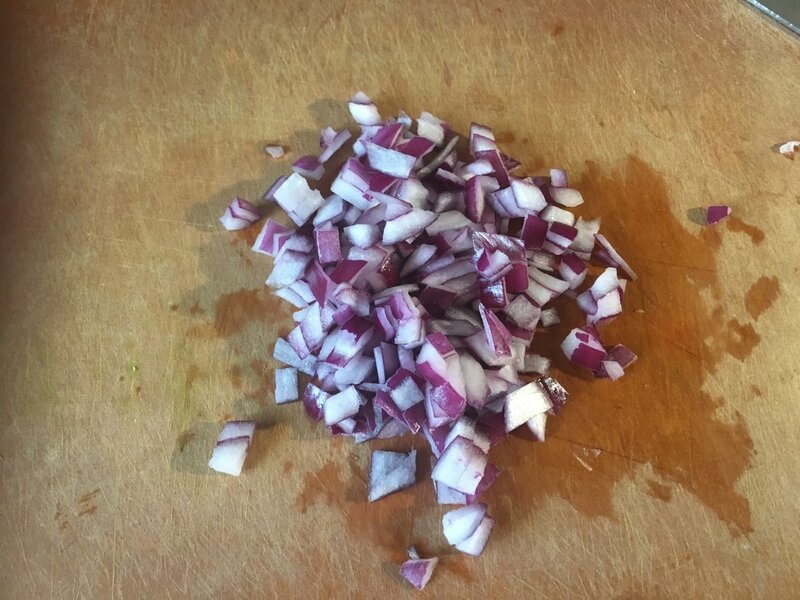 Dice 1 small red onion and set aside about ¼ cup worth. 6. Cook rotini according to package directions being sure to salt the water. Add about 1 tbsp. of vegetable oil to the water as well. 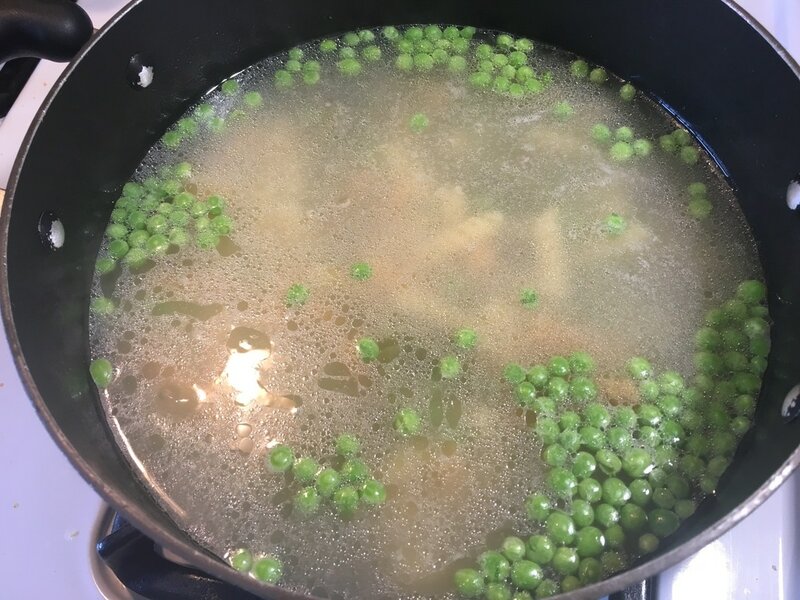 When there is about 3 minutes remaining of the cooking time, add in 1 cup of frozen sweet peas and mix thoroughly. Continue to cook until the pasta has become tender. 7. 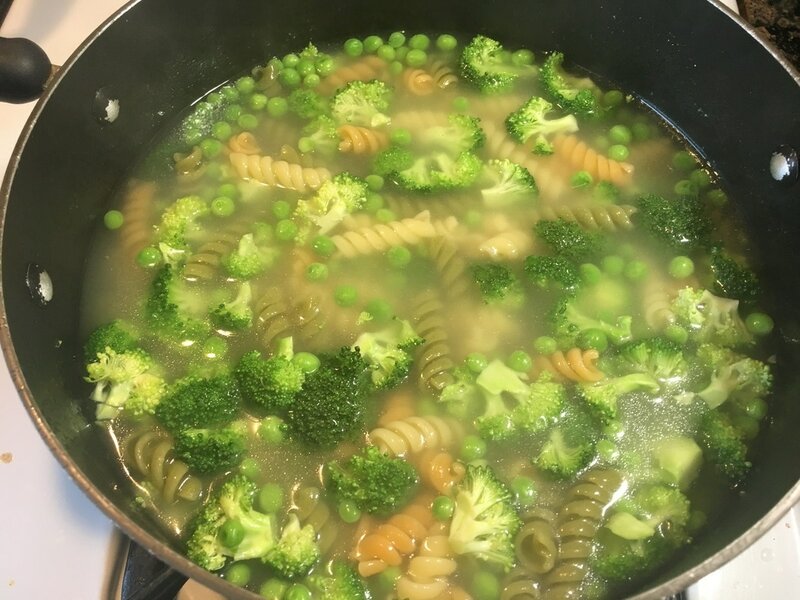 Right before draining the pasta, add in the broccoli florets. This is to quickly blanch them. 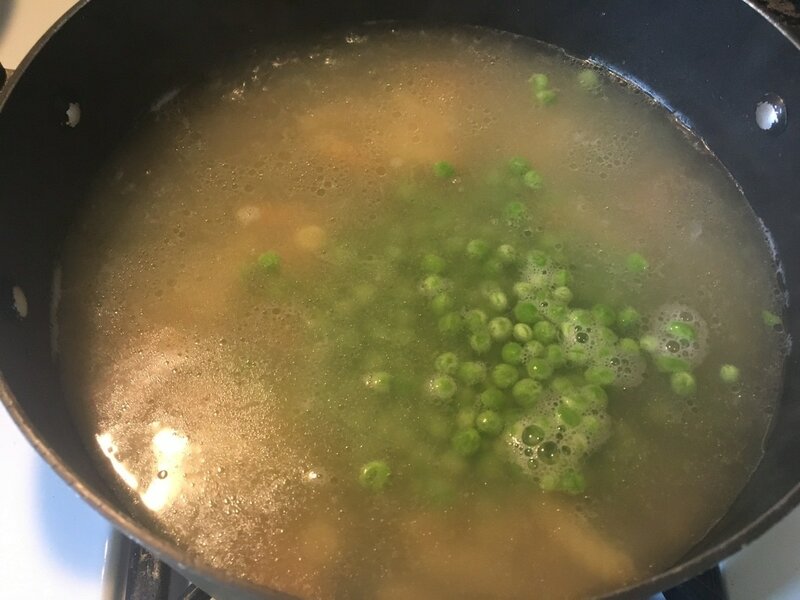 Do not let it sit in the hot boiling water for no more than 20 – 30 seconds. 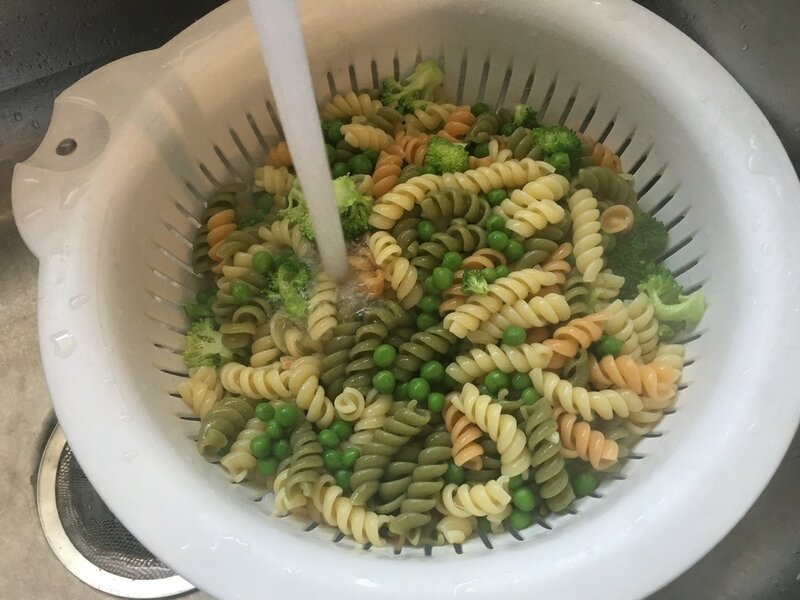 Drain immediately and pour cold water over the pasta/pea/broccoli mixture in order to cool it down. ​8. Transfer the cooled drained mixture into a large bowl. Add about 1 tsp. Adobo or to taste and 2 tbsps. extra virgin olive oil. 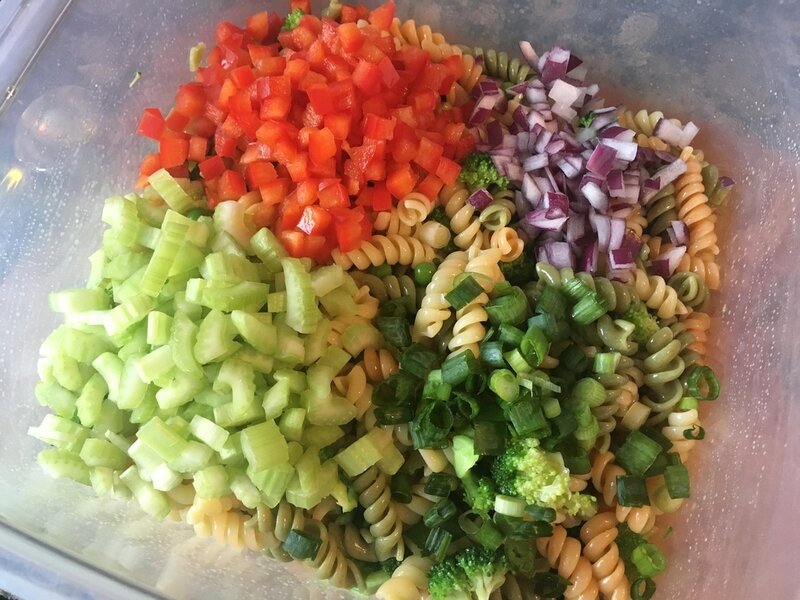 Also add in all the vegetables: celery, red bell pepper, scallions, and red onions. Mix thoroughly. 9. 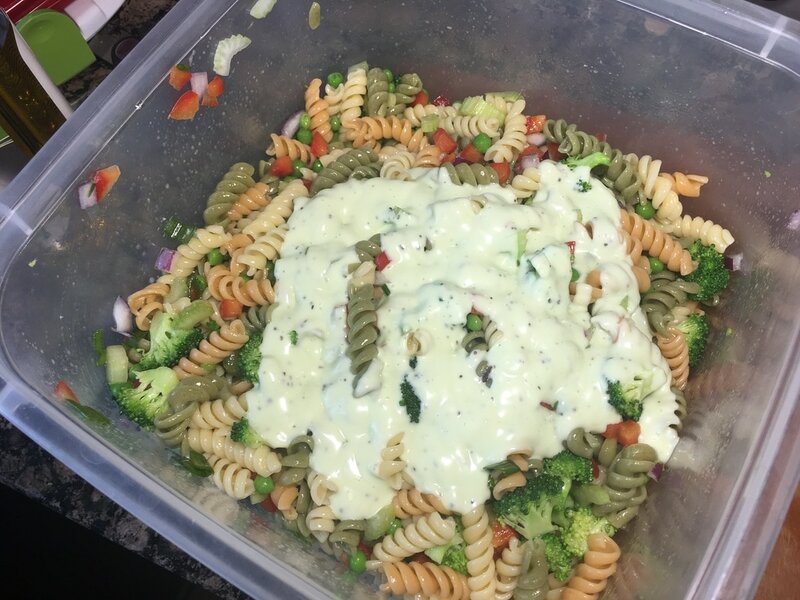 When you are ready to serve, pour in Green Goddess dressing to your desired amount of creaminess. Mix to combine everything thoroughly. 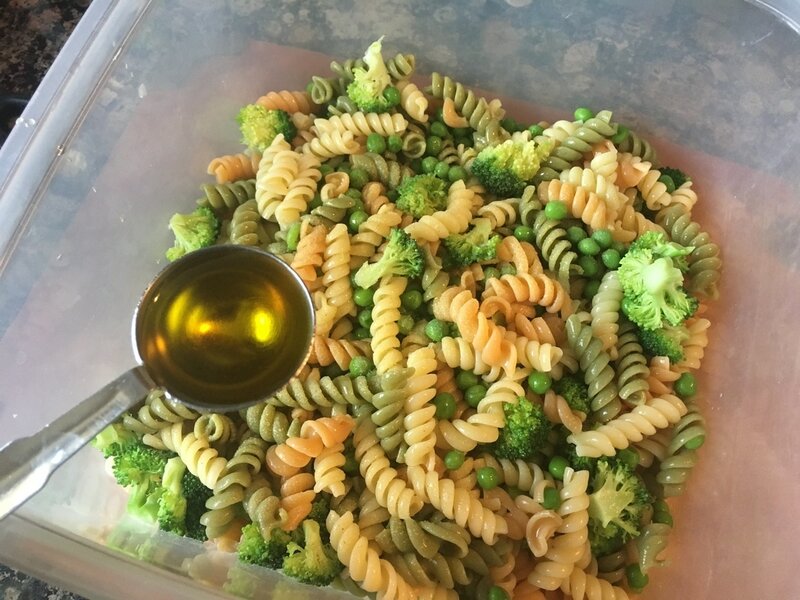 You can further chill it in the refrigerator or serve immediately. If desire, top it off with some Parmesan cheese and/or scallions. What do you think of this recipe? What other vegetables would you add?